Dial 121 To call the Airtel Customer Care. Dial *121# For My Airtel, My Offer. Dial *121*4# For Value Added Services. Dial *121*6# To Manage your Dish TV Account. [Make sure that you’re current number is registered in Dish TV account]. Dial *121*7# For Last 5 Transactions and also Value Added Services. Dial *123# To Check your Main Balance and Validity of your Airtel Sim. Dial *123*1# ToCheck for Airtel to Airtel Mins Balance. Dial *123*2# To Check for Local SMS Balance. Dial *123*6# For Local Airtel to Airtel Night Minutes Balance. Dial *123*7# To Check for Free Local, STD SMS Balance. Dial *123*8# To Check for Free STD Minutes Balance. Dial *123*10# To Check for Free 2G Data Balance. Dial *123*11# Check for 3G Data Balance. 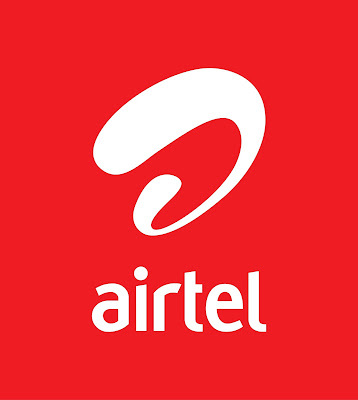 Dial *141# For Airtel Gift Service [Share Talktime, Ask for Talktime, etc]. Dial *222# For Special 5 Offers. Dial *321# For Airtel Live Services. Dial *325# For Free Facebook Access [Rs. 1 per day ]. Dial *515# For Twitter Service. Dial *566# For Mobile check-ins, Special Offers and Rewards. Dial *567# To Activate [or] Deactivate GPRS Services. Dial *678# For Hello Tunes Menu. Dial *888# For Missed Call Alert Services. Dial *777# For Local National SMS Packs. Dial *282# To Get your Airtel number. Dial 198 To inform any Complaints [For all Telecom services]. Dial 1909 To Activate [or] Deactivate DND Service [DND= Do Not Disturb]. ****If there is any problem with the USSD code or if you know any other USSD codes then let us know by just commenting below.